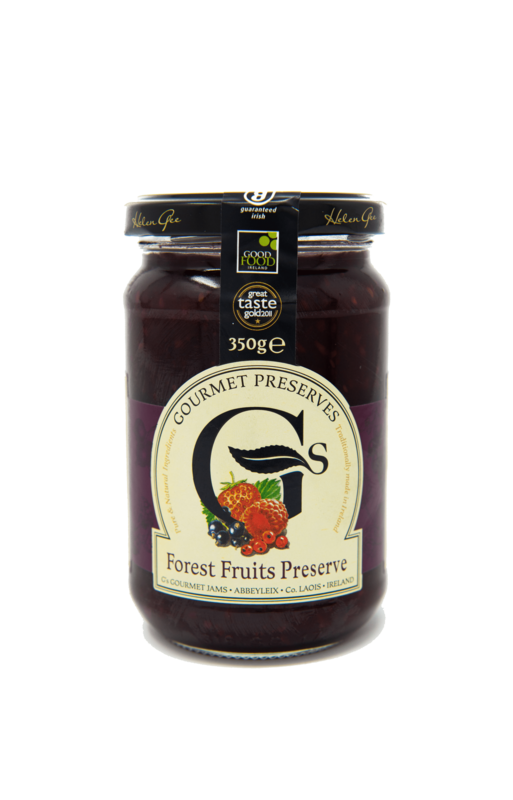 This combination of sweet and tangy fruits of the forest including Raspberries, Blackberries, Strawberries, Blackcurrants and Redcurrants combine to make an absolutely delicious Jam. The sharpness of the Blackcurrants and the sweetness of the Strawberries give this Jam one of the best combinations of fruit you will have ever eaten. This Jam is homemade, gluten free, has no preservatives, artificial colourings, or additives and is suitable for vegetarians. Delicious when served with freshly baked scones or an ideal filling for homemade jam tarts.